1.1 cu. ft. SpaceMaker Microwave Oven in White Set the GE SpaceMaker on a countertop or build it seamlessly into your kitchen cabinets with one of the many optional kits available, either way you're sure to love all of its innovative features! The Electronic Scrolling Digital Display gives you ultimate flexibility - program several functions at once for meal preparation. The Instant-On Popcorn Button maximizes popping without scorching your favourite snack, and the Child Lock-Out function allows you to lock the control panel completely to prevent the microwave from being accidentally started or used by children. 1.1 cu. 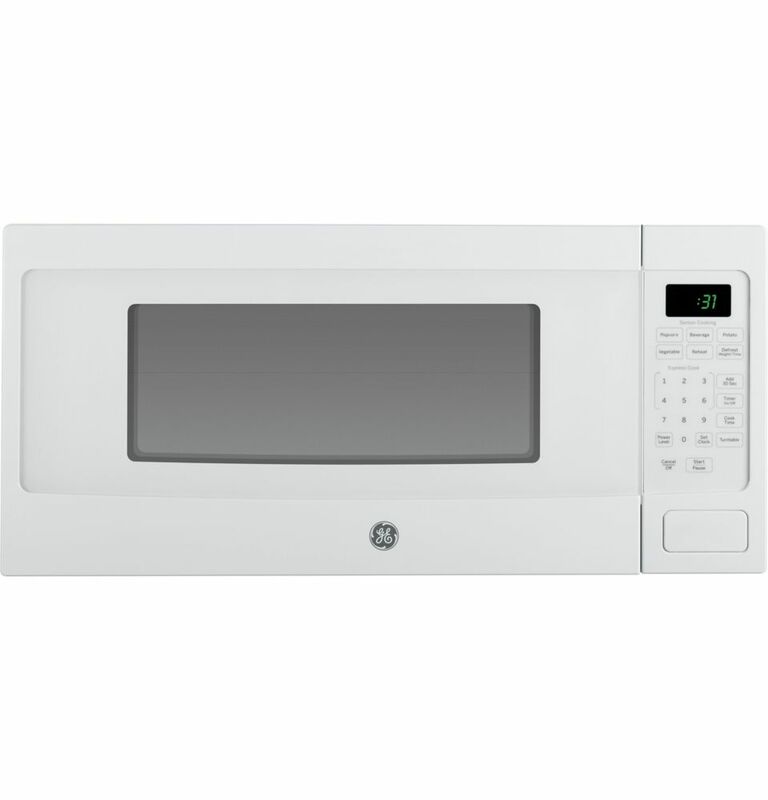 ft. SpaceMaker Microwave Oven in White is rated 4.0 out of 5 by 1162. Rated 5 out of 5 by Veggiefleur from Looks nice with cafe oven We got this to fit in a space that held a really old built in microwave. It fits and looks nice with our cafe oven. Rated 5 out of 5 by TA mgr 981 from Great features I've had this product in the past and have always been satisfied. Rated 4 out of 5 by negotiator from Works Well for My Needs Nice replacement but not as nice as the original GE I had which is no longer made. Rated 5 out of 5 by Gibson Girl from Perfect! This microwave fits perfectly in my kitchen. It heats evenly. The control panel is clear and easy to use. Rated 5 out of 5 by Lori in the OC from Fits Like A Glove Replacement of a similar. Needed this microwave so it would fit into a specific space. Rated 5 out of 5 by Lynneroony from love it -- it is the right size for my space I love the product -- works just fine for my use. LOve the color, too -- Slate.